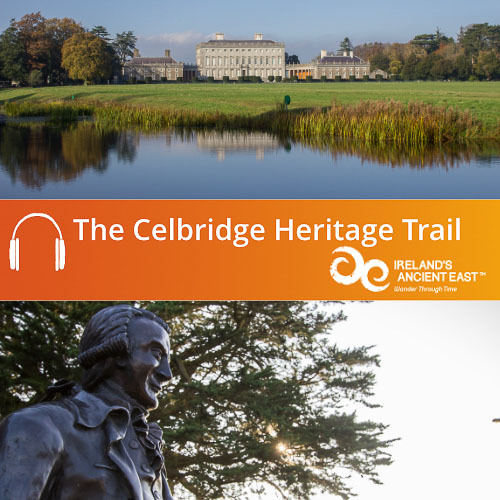 County Kildare Audio Guides lead you through the stories and personalities that have helped to shape the county. Kildare history stretches back through millenia. The counties origins stretch into the distant past. 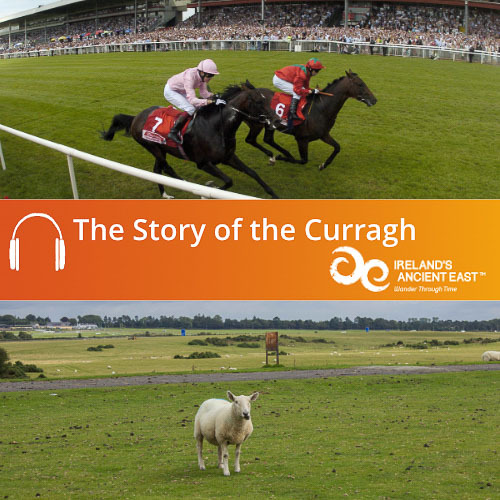 Overlooking the Curragh to the south-east stands Dún Áilinne, the seasonal home for a series of ancient Leinster Kings, and the legendary band of ancient warriors, the Fianna, hunted over the plains of the Curragh. It is with the arrival of a devout woman that this area became famous throughout Ireland and throughout the Christian world. Kildare, derives from the Irish ‘Cill Dara’ meaning Church of the Oak. 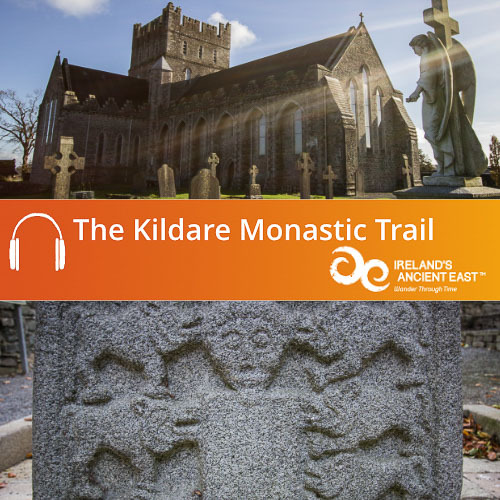 It was named after the church founded here under an oak tree by St Brigid around 480 A.D. Over time this site developed into a great “Monastic City, a place where visitors and pilgrims were welcome and plentiful, a place famous across Europe. The region became a key base for the Norman invaders and their famous leader Strongbow, and the audio guide describes how it was the scene of tragedy during the 1798 Uprising. 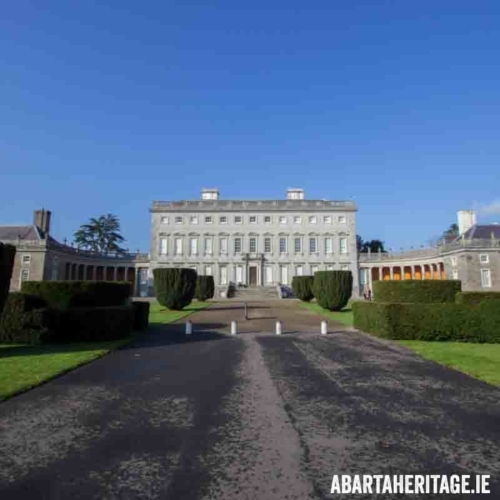 In its later history, it became a venue for aristocratic horse racing enthusiasts, and a vital stage in Ireland’s first great motor race. From the time of St Bridget to the Anglo Normans, there is lots to discover right across the County. 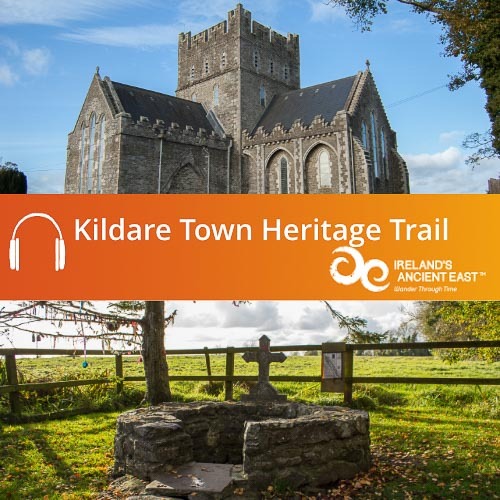 Download our free audio guides to hear the stories about how this county developed through the centuries.